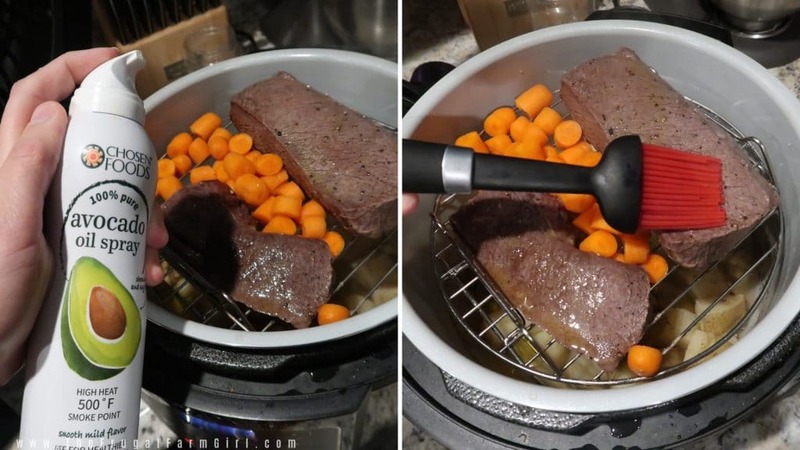 Looking for how to cook a frozen venison roast in a pressure cooker? Here is a simple venison roast recipe to get you started. 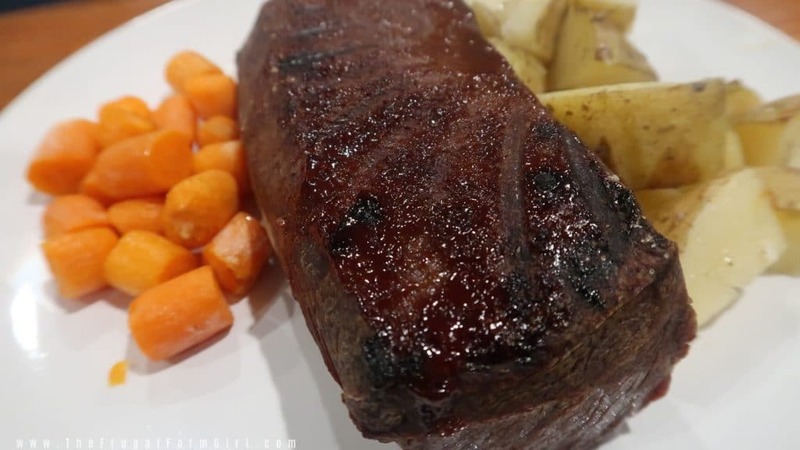 This simple venison recipe wowed my entire family. The venison meat was tender and had a delicious crisp to the top. Get dinner done in 20 minutes and pull it right out from the freezer! It’s time for #foodifriday! For Christmas my husband gave me the amazing Ninja Foodi. Last week I shared my complete review on the beast. I won’t go into all the details of what she does here again but I’ll give a you a alitte glimpse, if you really hate clicking the article here to read it. The Ninja Foodi is a 6.5 qt. pressure cooker and a 4 qt. 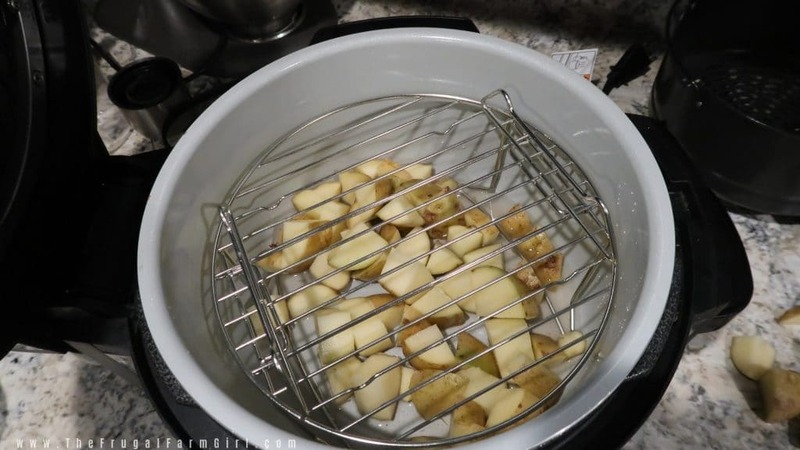 air fryer. The combination of using these two together is Ninja’s Tendercrisp foods. 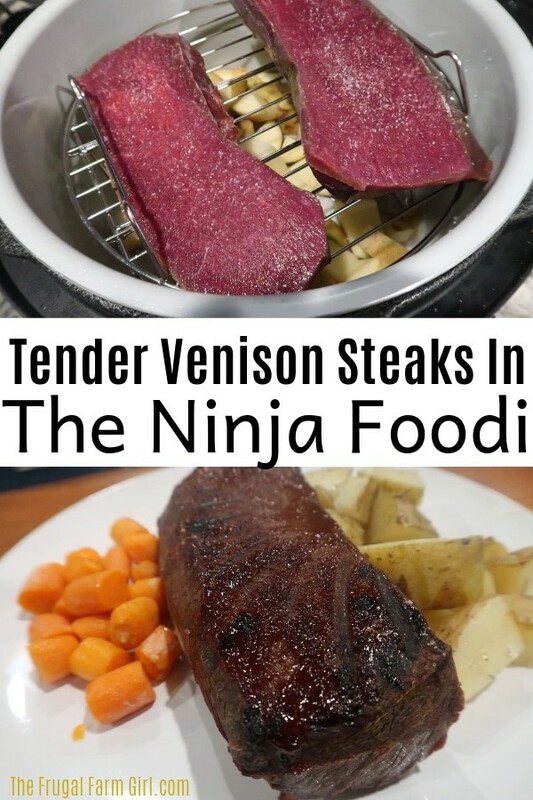 This week I decided to try venison in the Ninja Foodi. 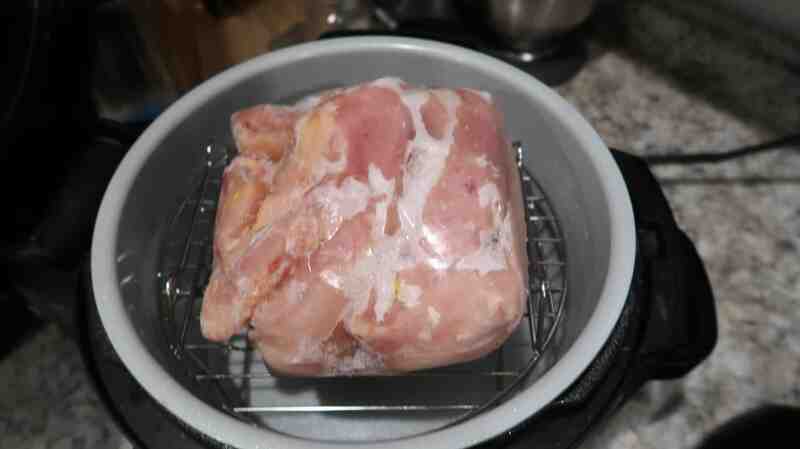 Since it can pressure cook meat I was curious to see if it would dry this out. This cut of venison was the backstrap. A very tender part my favorite personally. Two key things I love using when it comes to cooking venison meat. If you can marinate it overnight. To cut out the gaminess especially in ground meat I love using Orange Juice. Yep, even if you let it soak in orange juice for a couple hours. Or cook with it, it really helps eliminate any gaminess. If you don’t have orange juice on hand coconut oil will help and milk. Out of the three, Orange Juice is my favorite. 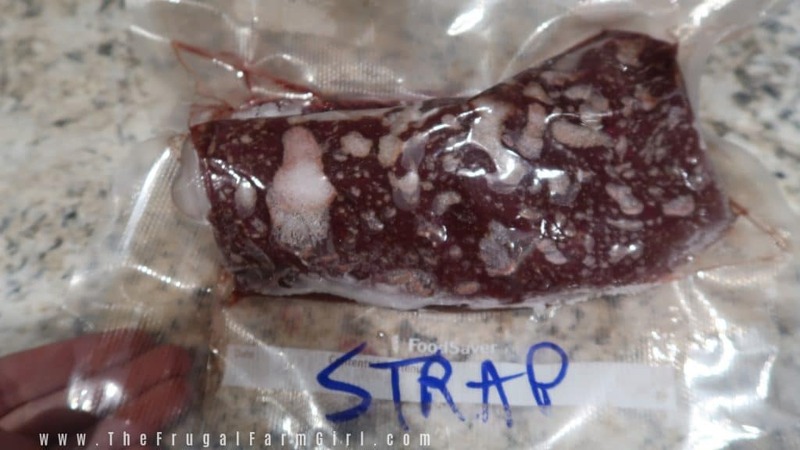 Especially, in ground venison meat. 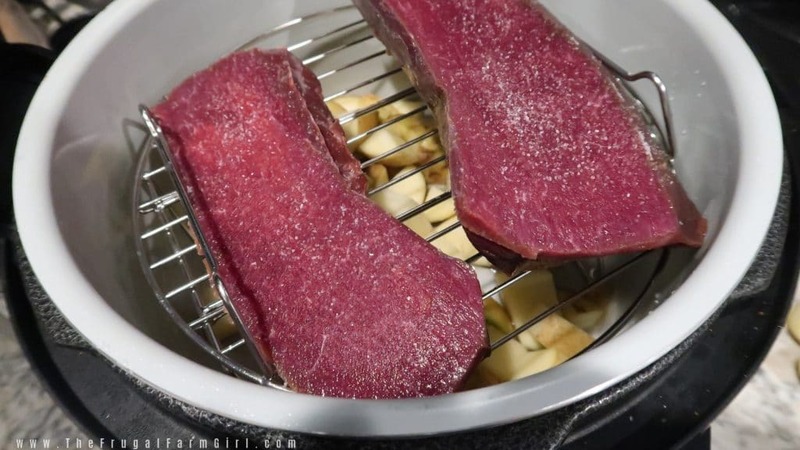 Another great seasoning to use on venison is this home made mix here. Or if you want to buy it the Lipton onion Mix. That is so good in ground venison meat for a burger. If you are looking for the best price you can find that in my inital review here. 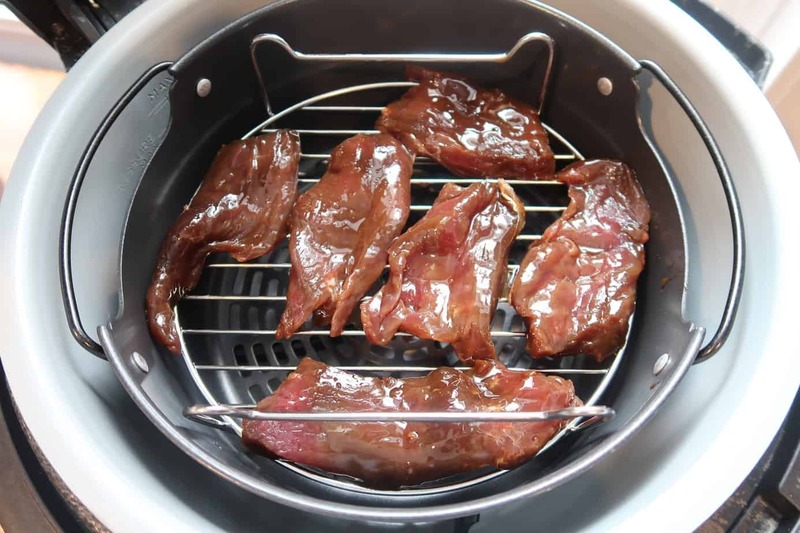 I have found the best way to preserve the meat we process our selves is to use the Foodsaver. 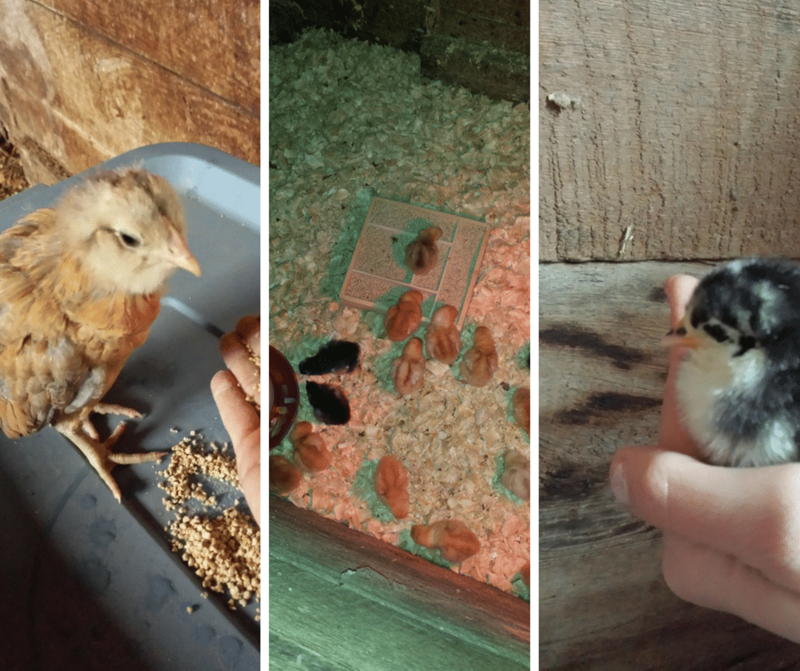 I shared about it in our How to Process Meat Chickens post and video here. 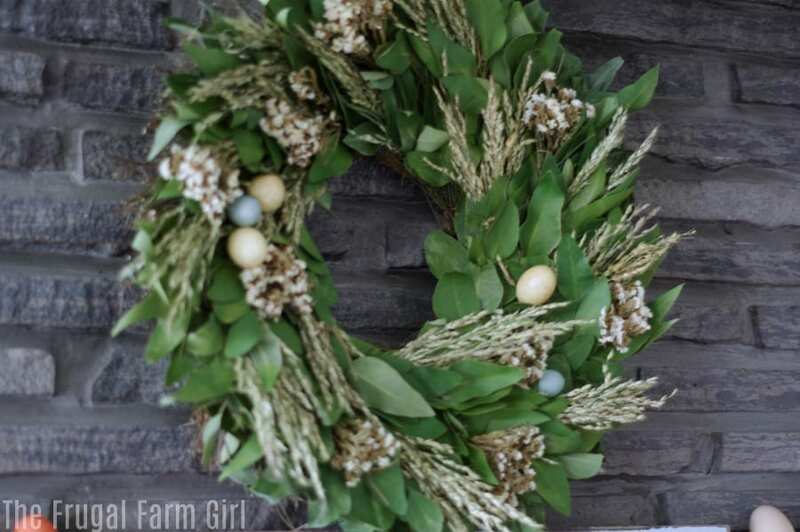 Don’t forget to sign up for our newsletter to get each week’s new Foodi Friday posts! I used the recipe from the Ninja Foodi with a little modifications. I chose the choose your own Tendercrisp adventure in the booklet. It guides you through the settings and how to stack the food in your Ninja. I sliced the potatoes and added those to the regular pot first. Add 1/2 cup of water to the potatoes. Add your Venison steak or any steak of your choice. Normally any steak frozen and is 8- 10 oz at 1 inch thick would pressure cook for 2 minutes. Did you see my cut job? Goodness. It was partially still frozen. I added the pressure cooking time to 8 minutes. It is a little uneven let’s see what happens. Tip: Slice Your Steaks Evenly, No Need to Thaw! Turn the Ninja on and hit Pressure Cook. Set temp to high and I hit 8 minutes. When time is up you move the valve to vent. Let all the air come out before you remove the lid. This usually takes about 2-3 minutes. Remove lid and add oil to your steaks. I started to brush on EVOO and decided to use my Avocado oil spray easier. I find the best price for this is at BJs. You get two cans for $6.99 and they have coupons frequently I find in this coupon database. At this point you pick a vegetable. The examples in the Ninja book were zucchini, carrots, or cauliflower. We seem to always have carrots on hand in winter so I cut up baby carrots. You want to oil and season your veggies. I used sea salt and pepper. 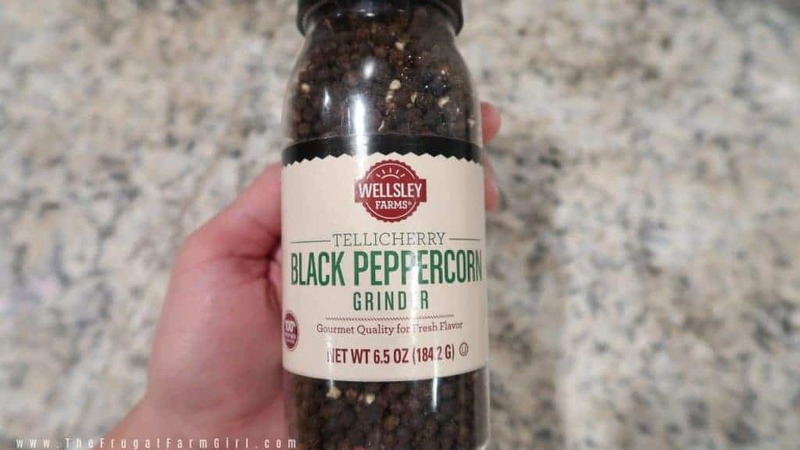 Invest in a fresh pepper grinder. The taste is so much better. Again my favorite place to get spices is BJs and this grinder from the club is my favorite. Now you will add any additional seasoning you want. I used Sweet Baby Ray’s Barbecue sauce on it. It’s a staple in our house. A rub would be another good choice. Now close the crisping lid and broil for 10 minutes. This was my first time trying the broil option. Not crisping and I was a little nervous it would dry the venison out. I was tempted to cut the broil time down but I didn’t and am very happy with the results. In each Foodi Friday post, I want to highlight any fails. I would have cut my carrots differently because they were a little bit harder than I preferred. The book suggests thin slices- if I had actual carrots, not the baby ones, I would opt for this next time. An even cut would be ideal. The one steak that was thinner was almost overdone. That is because it is venison and it can overcook quickly. Overall I was so happy with how the venison turned out. Any other time I am cooking venison I am standing over the stove watching it carefully. The worst thing is tough dried out venison meat. I love being able to get the dishes done quickly and do any last minute wiping or cleaning in the kitchen while it cooks. The meat was still tender and red in the middle. This is perfect for this cut of meat. Not overcooked at all. Overall the meal was done in about 20 minutes. Pretty great for minimal attention and only two dishes to clean. Plus the meat was frozen. It tasted amazing for it being frozen venison meat. I loved the slight crunch of barbecue at the top from the broil option. The kids and my husband loved it and that means it’s a win in my book. Don’t forget if you want to check out my complete review and the Buffalo Chicken Wings I made in the Ninja my first time go here. What are you making in your Ninja Foodi?